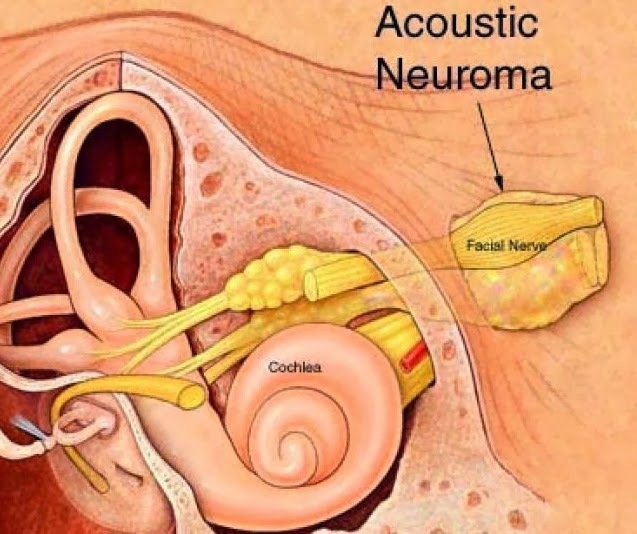 With all the challenges you face with an acoustic neuroma, it would not be surprising if you feel anxious, depressed, or at least overwhelmed and confused. If you were recently diagnosed, you may be feeling shock, disbelief, anger, and somewhat uncertain about what to do next. If you are in the stage of having to decide what to do, you may be sorting out all the options, and the possible good and bad outcomes of each. You may be confused by conflicting recommendations from different doctors. If you have been treated, you may be struggling to cope with balance problems, one sided hearing loss, tinnitus, and maybe even facial paralysis, with the resulting dry eye and risk of corneal injury. You may be struggling in your relationships, feeling resentful of those who "were not there for you" during your ordeal. Of course, these categories are not clear cut. Some of the "post treatment" effects might also be some of the symptoms which led to your diagnosis. The following tips are being offered to help you cope emotionally with your ordeal. The examples given are related to specific situations. Try to apply any and all of them to any and all of the challenges you are facing with acoustic neuroma. These tips are not meant to replace any medical advice or treatment. Hopefully they will help you get a handle on what has happened, so you can move forward in your journey with more peace and clarity. 1. Fact Finding: You need to get information from reliable sources. Often, just hearing that you have a brain tumor, can send your imagination into overdrive, stirring up worst case scenarios which are not founded in reality. Much of your fear can be dispelled by facts. 2. Reach out for Support: Do not go through this alone. Give your family, friends, and maybe even your coworkers, the opportunity to lend support. Look up the Acoustic Neuroma Association, where you will find others in the same boat. They have online discussion forums and some local meetings. 3. Try a more Optimistic Perspective: In cognitive behavioral therapist lingo, this is called Cognitive Reframing. Look at some of the beliefs that keep you feeling down, and see if you can choose more uplifting ones to replace them. "I won't ever be able to dance (or go hiking) again because my balance is so bad." Try this instead: "By following the guidance of my physical therapist, I will soon be enjoying more of life again." 4. Relax: That is easier said than done, right? It is not a matter of "just relax!" It is more a matter of taking up a regular routine of relaxation exercises. There are many to choose from, such as breathing exercises, guided imagery, Tai chi, yoga, or meditation. Some of these can be learned through self help books, or through taking a class. Some can be learned in sessions with a counselor or therapist. Relaxing might even help you with some of your physical challenges in addition to helping you cope. Some people report that a regular relaxation routine lessens their tinnitus. 5.Get Physical: Regular physical exercise can help a lot to lessen stress, build stamina and balance, and increase your ability to cope. You may need to consult with you doctor or physical therapist to determine what level of exercise is right for you. For many people with acoustic neuroma, walking and Tai chi are highly recommended, to improve balance. 6.Use Physical Props: Take advantage of various "crutches" available to lighten your burden, expand your horizons, and make life a little easier. A cane may enable some people to get around in the community rather than stay home. A walking stick may help a hiker get back to the trails. Specialized hearing aids for one sided deafness have helped many people to do their work better. Using a fan as white noise has helped others tune out the constant buzz of tinnitus. An occupational therapist could assess your home situation and recommend other props to help you live more independently. 7.Listen to your Intuition: You will need a way to hear your own inner wisdom, above all the mind chatter. You will probably get plenty of information, and plenty of opinions from doctors, fellow acoustic neuroma survivors, and everyone around you who has an opinion on what you should do. If you feel out of touch with your intuition, get back in touch through practicing some of the relaxation methods. You could also try keeping a journal of your thoughts and feelings, to increase your self knowledge. 8. Communicate your Needs to Others: Expressing your needs can go a long way toward preventing resentment and frustration. One practical example is: "It would be easier for me to hear you if I can walk with you on my right (or left) side." Then they won't wonder why you keep darting about from side to side as your walk takes you in different directions. If you are in a group, try saying, "It would be easier to hear everyone's opinion if we talk one at a time." Chances are, someone else in the group is having trouble hearing too, and will thank you. 9. Get Professional Help if You Need To: If self help and the support of others is not enough, be sure to seek professional help. A consultation with a physical therapist can go a long way toward expanding your physical horizons. And a consultation with a psychotherapist or counselor can go a long way toward helping you expand your emotional and mental horizons. 10.Open Yourself to Unexpected Gifts: Could this thing that happened to you become an opportunity for a positive change in your life? Only you can answer that, and the answer may change over time. A resounding "heck no!" could eventually turn into a grateful "What a wonderful surprise that things turned out this way."